Product prices and availability are accurate as of 2019-04-15 20:40:41 UTC and are subject to change. Any price and availability information displayed on http://www.amazon.com/ at the time of purchase will apply to the purchase of this product. 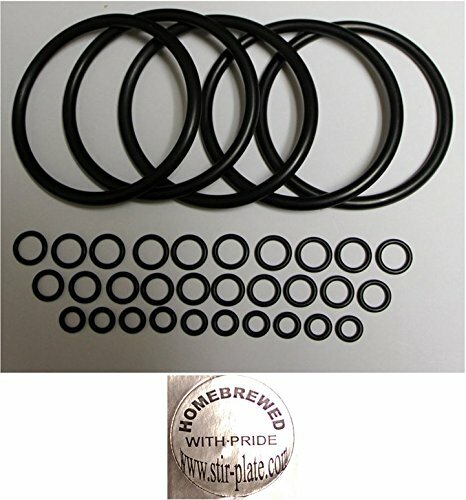 This complete O-ring set replaces all the gaskets you will need to refurbish five used home brew kegs. Includes O-ring chart and a 1-2/3" diameter "HOMEBREWED WITH PRIDE" keg label! This complete O-ring set replaces all the gaskets you will need to refurbish five used home brew kegs. Universal kit - fits Ball Lock (Pepsi) and Pin Lock (Coke) kegs! 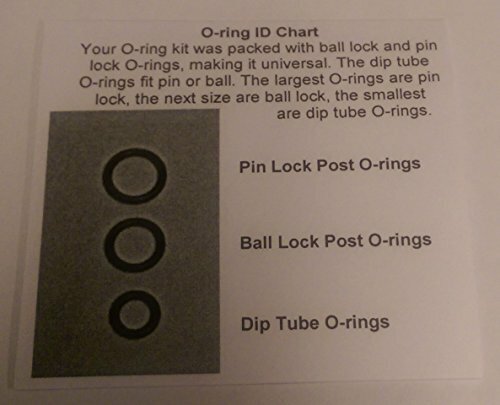 O-Ring Set Includes: (5) Lid Closure O-Rings (10) Ball Lock Tank Plug O-Rings (10) Pin Lock Tank Plug O-Rings (10) Universal Dip Tube O-Rings Refurbish five ball lock and/or pin lock kegs with this new O-ring Set. 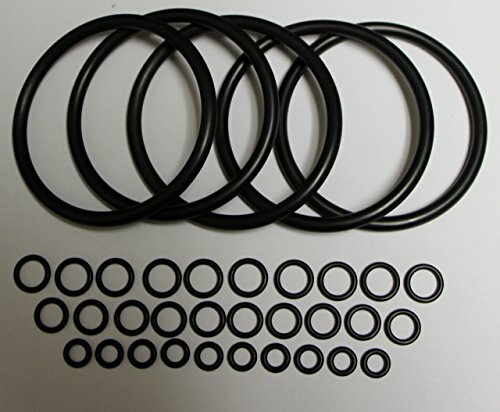 A great Kegco type O-ring kit value - rebuild 5 kegs for $2.99 / keg!!! 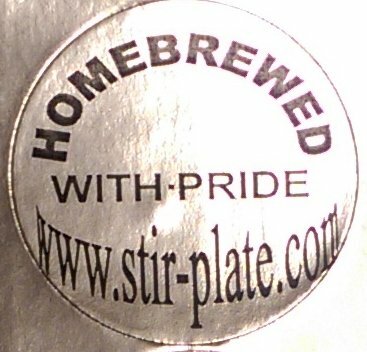 Each O-ring kit ships with one of our aluminized 1-2/3" diameter "HOMEBREWED WITH PRIDE" keg labels!